The drug is the dried whole herb of Plagiomnium cuspidatum (Hedw.) T. Kop. 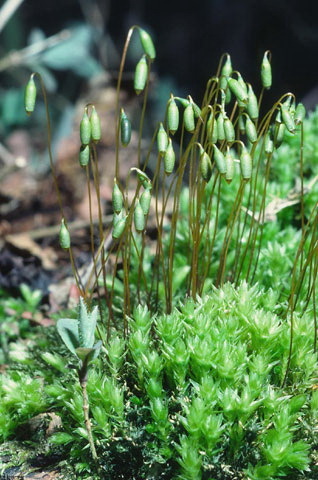 (Family Mniaceae), growing along streams of mountainous areas, along open country or near cities and towns, on swampy hill sides, in grass lands or on trunks, and distributed in most of China. Bitter, bland, cool; liver meridian entered. Whole herb is used antipyretic and hemostatic, for the treatment of hemoptysis, hematemesis, hematochezia, epistaxis, metrorrhagia, etc.